Cartessa Aesthetics is a privately-held distributor and marketer of FDA-approved, aesthetic medical devices and the exclusive distributor of DEKA’s Motus AX and Motus AY. Established in early 2017 in New York, Cartessa’s mission is to support physicians in choosing the right aesthetic devices to meet their patient needs and add new revenue streams to their practice. Cartessa has been able to disrupt the U.S. aesthetic device space with their unique business model, breakthrough technologies like the Motus and expert leadership team. 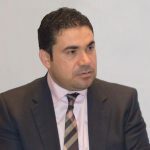 Gabe Lubin, Cartessa’s Founder and CEO, believed in the premise that as an independent agent, a company could source and distribute best-in-class devices while offering a more attractive financial ROI to the practitioner. 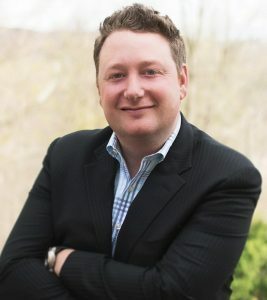 Having spent over fifteen years and ascending to sales leadership positions for large aesthetic companies like Palomar and Cynosure, he saw the opportunity for a company that could react to market trends and research findings more quickly and engage breakthrough aesthetic technology manufacturers for whom distribution costs have been otherwise prohibitive. Cartessa offers a very personal approach – as evident in the expert sales team, boutique post-sales support and the company’s name. Cartessa was named for Lubin’s family – the C.A.R for the first letters of his wife and two children’s names – plus the word “tessa” Cartessa’s selects devices based on a three-point criteria – proven efficacy, patient experience and return on investment. 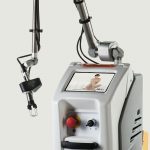 The Motus AX and AY delivers against these requirements and given DEKA’s worldwide reputation for best-in-class technologies, Cartessa was proud to bring the breakthrough technology to the U.S. market as the first high-speed alexandrite laser available. 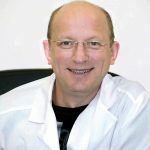 “Our partnership with DEKA is a perfect example of what Cartessa was founded to do – hand-select aesthetic technologies from around the globe that offer improved patient experiences and unique opportunities for practices in the U.S.” says Lubin. The U.S, aesthetic industry has embraced the Cartessa business model fueling unprecedented growth since the company’s inception. The Motus AX has been a top selling device for dermatologists, plastic surgeons and medical spas given the benefits of the in-motion alexandrite technology – the ability to offer the most efficacious wavelength to more skin types and the pain-free experience for patients. A focus for the Cartessa team has been demonstrating the difference of the Motus AX live for physicians – at live events and in-office. Expert dermatologies and top aesthetics docs, like Dr. Paul Frank in New York City and Dr. Naz Saedi of Philadelphia, have also been instrumental in driving awareness of this breakthrough technology.